The Thanksgiving Day cards include terms like "feast", "Indians" and "grateful". 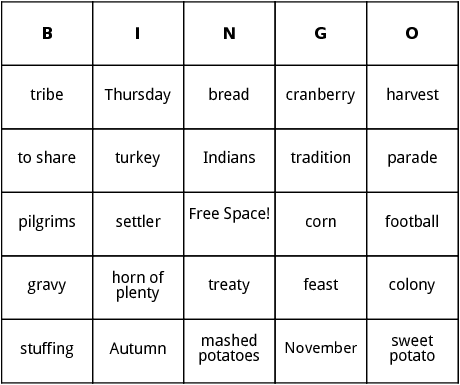 Make printable bingo cards for Thanksgiving . Each card is unique and you can add more terms to the word list and make the game last longer.